Yokosuka Navy Curry Honpo has the restaurant which you can always enjoy authentic curry dishes and 10 or more different types of Navy Curry. And a souvenir section which you can purchase instant Yokosuka curry pouch and Yokosuka original goods. Please stop by the Yokosuka Navy Curry Honpo which is nearby Yokosuka Chuo Station. Yokosuka Navy Curry with Hirosaki Apple. Hirosaki, Aomori prefecture is known as the city of apples. We developed this product in collaboration with Hirosaki and Yokosuka. We created this spicy Curry with fresh seasonal Hirosaki apples. It has been 15 years, since city of Yokosuka worked as a curry town. Thank you so much for your support and we are looking forward to your continuous support. When you order curry we can give you big size rice or a croquette as free at our 2nd floor restaurant. 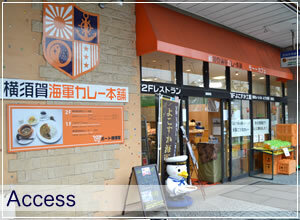 Café is located on the 1st floor; you can purchase ice cream for 50 yen discount. Only valid the day of boarding ticket. 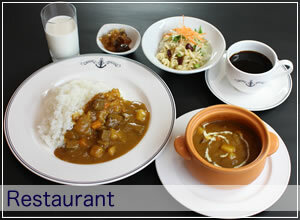 If you are planning to go Sarushima, please stop by Yokosuka Navy Curry Honpo. 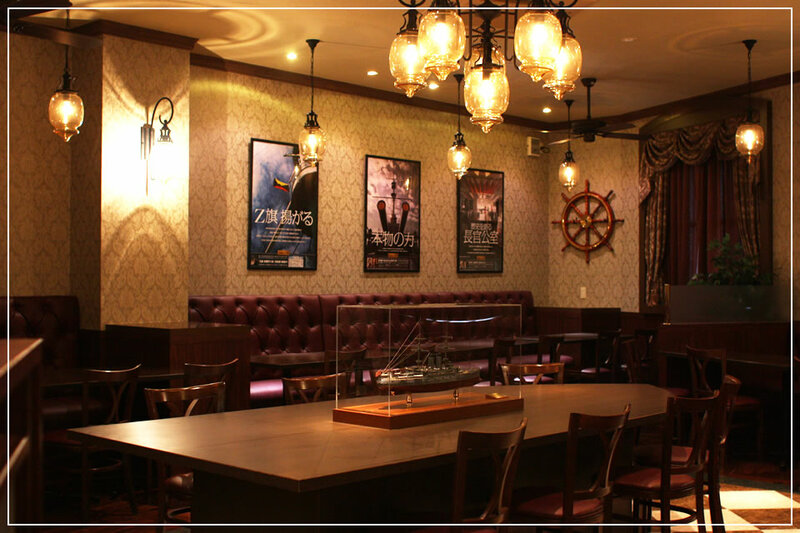 Our restaurant is themed from the Japanese battle ship Mikasa. Enjoy your curry while listening to music which actually played on the battle ship during Meiji era. At our Yokosuka products and souvenir shop at 1st floor of Yokosuka Navy Curry Honpo, we have Yokosuka navy curry instant pouches, various curry-related products, liquor and wine from Yokosuka, Yokosuka souvenirs, such as seafood! 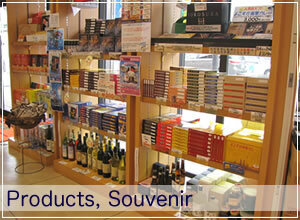 the souvenir section which you can purchase instant Yokosuka curry pouches and Yokosuka original goods. 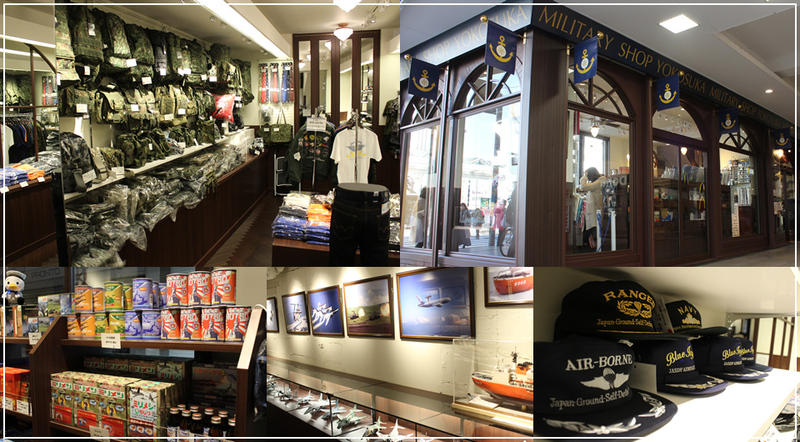 Beside the restaurant, we have instant Yokosuka Navy curry pouch, various curry related snacks and lots of Yokosuka products and souvenirs on the 1st floor. At the café space, you can enjoy curry flavored soft serve ice cream and curry bread, local gourmet such as Sarushima beer. 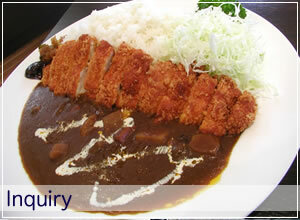 "Curry and rice" is a classic menu of general household, Yokosuka is land of origin. The roots of the ordinary curry and rice that was adopted from the former Royal Navy’s curry stew for navy’s diet by adding a flour for Japanese taste. Please stop by our sister shop, Yokosuka Souvenir Shop Yokosuka Gelato Factory in Yokosuka Port Market. January 1 to January 3, other than that we are open throughout the year. Copyright © yokosuka-curry.com all rights reserved.